View his website. Conceives his projects through digital media then completes in oil using 15th-century techniques. So inspirational for those of us who can’t go to art school. In his medieval influences I find something actually original, unlike some other artists I see just aping Medieval or Renaissance works. 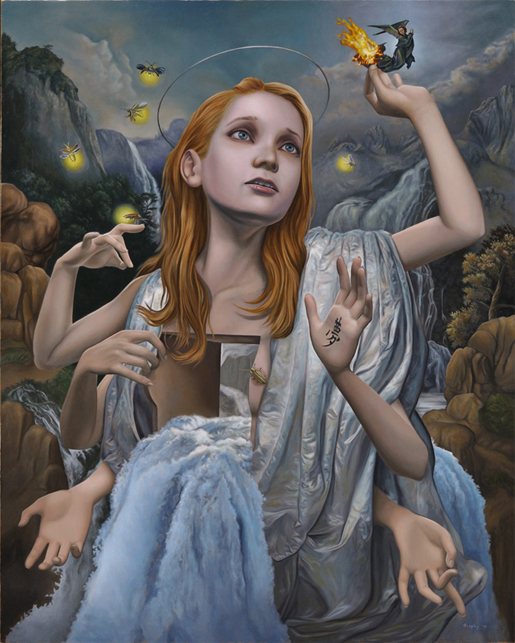 This entry was posted in art, contemporary art, Medieval and tagged American art, art, contemporary art, John Brophy, Medieval. Bookmark the permalink. He is a very inspiring artist.